While it’s only February, get a head start on your spring cleaning by building these four home habits. 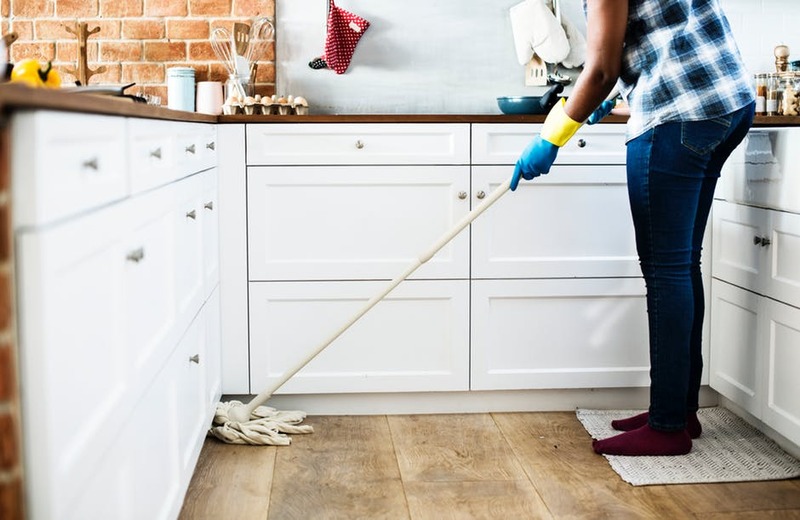 From cleaning as you are cooking dinner to always keeping your clutter under control on your countertops and home, in general, you’re likely already completing these tasks to keep your home clean. And if you’re not, no need to fret! Here are four home habits to start practicing now. 1. Keep your cleaning supplies stocked. One of the easiest ways to avoid cleaning? Not having adequate cleaning supplies for your home. Do yourself a favor and make it a habit of keeping all of your cleaning supplies stocked. From your kitchen to your bathroom and for the various floors in your home, these areas require specific cleaning supplies depending on the surface. In addition, having enough old cloths and brushes for cleaning is necessary as well. Here’s a tip: Keep each specific area of your home stocked because it’s a lot easier to make an excuse and not maintain a cleaning routine if your supplies are located on the other side of your home. 2. Don’t let the dishes pile up. We’ve all been there. We wake up the next morning to a sink (or an entire kitchen) full of dirty dishes from cooking dinner the night prior. And after cooking dinner, no one wants to clean up right away! The trick? Take care of your dishes while you are cooking. For instance, if your casserole needs some bake time, go ahead and take care of the dishes while you wait. Still cooking? Fill your sink or a large bowl with soapy water so that your utensils and other items can soak. By building these home habits, you’ll be well on your way to a cleaner home well before springtime. Another one of the home habits that will help you maintain a cleaner home is simply to declutter . . . then declutter some more. From your mail stack to your side tables, there are always areas that can use some decluttering. And just like anything that seems like a massive project, you just have to tackle this task little by little. For example, instead of cleaning your whole home for hours on the weekend, why not challenge yourself to clean your home for just 5 minutes each day? You’ll be surprised how much cleaner your home is and how much extra time you’ll have on the weekends. 4. Don’t wait to clean out the fridge. If you’re human, you’ve probably made the mistake of keeping two-year-old condiments in your fridge without knowing. Avoid keeping condiments and other food items past their due dates by not waiting to clean out the fridge. Instead, try cleaning out your fridge weekly or bi-weekly. This habit will ensure you never have any unlucky finds when you go to make your next meal. Of course, these are just a few among many home habits to begin incorporating in order to maintain a cleaner home this year. Ultimately, the key is to not put these tasks off for a later day. Start today!